Samuel Beckett’s quote “Fail Better” becomes the mantra of Silicon Valley. 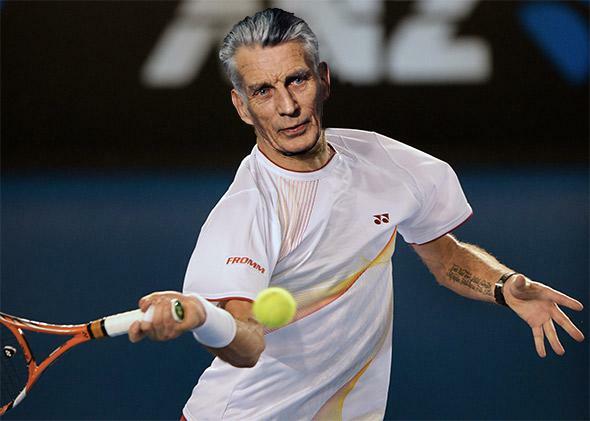 How Samuel Beckett became Silicon Valley’s life coach. Photo illustration by Juliana Jimenez Jaramillo. Photo by Greg Wood/AFP/Getty Images. This invocation of Beckett sat oddly with the chat that had preceded it, concerned as it had been with disrupting market verticals and wealth creation and giving people a shot at pursuing their dreams of success. And it seemed to me to echo like a discordant note against the gospel chorus of Primal Scream’s “Movin’ On Up,” to which the billionaire investors and their new prime ministerial friend left the stage. What has happened here, I suppose, is that a small shard of a fragmentary and difficult work of literature has been salvaged from the darkness of its setting, sanded and smoothed of the jagged remnants of that context. This is the process by which a piece of writing becomes a quote, a saying—a linguistic object whose meaning is readily apparent, useful, and endlessly transferable, like a coin in the currency of wisdom. Fail Better, with its TEDishly counterintuitive feel, is the literary takeaway par excellence; it’s usefully suggestive, too, of the corporate propaganda of productivity, with its appeals to “think different” or “work smarter” or “just do it.” And the fact is that these six telegraphic bursts of exhortation actually work pretty well as a personal motto, once that sanding and smoothing has been completed. They are also—and this is crucial, though obviously not something Beckett would have had in mind—eminently tweetable; the whole thing comes in at just 69 characters, which leaves people plenty of room for whatever commentary or show of approval they might want to append. As drastically funny as it often is, of course, Beckett’s oeuvre as a whole is famously low on positive vibes. (“Despair young and never look back,” he once counseled the young Irish novelist Aidan Higgins.) The way in which these lines have become a standard of the personal boosterism repertoire is superbly ironic, and sort of wonderful in its way. And when you restore the lines to their original context (a reversal that feels almost perverse now that they’ve come to seem so staunchly pro-business and pro-tennis), it’s difficult to imagine a piece of writing less obviously ripe for the harvesting of uplifting phrases. Worstward Ho, it hardly needs saying, gets steadily less inspirational as it goes on. The paragraph that follows the Fail Better lines, for instance, is full of the kind of stuff that would actually be worse than useless as a motivational aid on the tennis court, or anywhere else. “Try again. Fail again. Better again. Or better worse. Fail worse again. Still worse again. Till sick for good. Throw up for good. Go for good. Where neither for good. 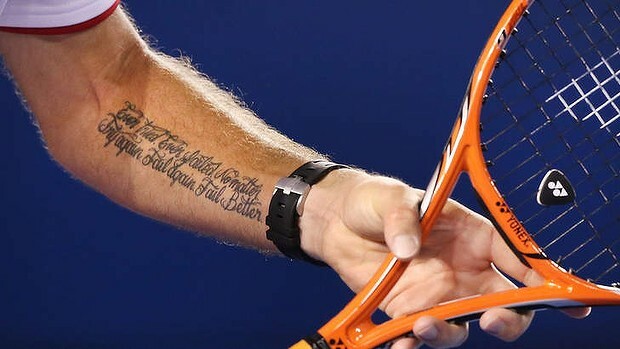 Good and all.” It will probably be a while before we see anyone winning a Grand Slam title with that tattooed on their arm.